It still amazes me how so many people still don’t make the connection between sun exposure and hyper-pigmentation. I can’t even begin to count how many times this same conversation has happened with different people . Sunscreen is not one of those products that should sit idle on a shelf waiting for a day at the beach to get some action. Sunscreen is an everyday, 365 days a year product. Here’s the cliff notes version of why it’s so important to wear SPF, especially if you’re combatting hyper-pigmentation or prone to it. The skin’s natural defense to the sun is a tan. A tan is a sign of skin injury. Any time the skin is injured (scrape, scratch, acne, cut etc ) the skin’s natural response to heal itself is by sending melanin to the surface of the skin. If you are not protecting your skin from the sun, (topical vitamin C and SPF 30 are a dynamic duo ) you’re only allowing the problem to worsen. There are products on the market to treat and correct hyper-pigmentation, but make it a priority to protect your skin from further damage by applying sunscreen. You wouldn’t feed, bathe, and love on your dog only to send him out into a busy intersection ? – There are noncomedogenic sunscreens on the market. Which means that the product won’t clog your pores. 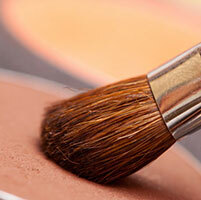 – Makeup may have a SPF of 15 (on rare occasions a mineral may have a 20 SPF) but 30 is the magic number. – Being in your car in not like being in a bat cave. Most people have more hp on the left side of their face from sun exposure while driving. – Sample and check out many different sunscreens. Some are so light weight and silky feeling they go on like a makeup primer. – It’s great that you wear it to the beach and lake but it’s needed everyday !